The third licensing round to offer offshore blocks for oil and gas exploration and development in northern Sri Lanka will take place over the next three months, according to state-run Petroleum Resource Development Secretariat (PRDS). “We are planning to conduct the third licensing round for some of the remaining blocks in the Mannar and Cauvery basins in the first quarter of this year,” PRDS Benefits Director Preeni Withanage told Mirror Business. Earlier this week, in a notice to the potential bidders in the third licensing round, the PRDS said that some blocks, which have already drawn investor interest, would be opened for bidding. It added that the new round is a culmination of efforts undertaken by the PRDS over the past year and would hopefully result in the commencement of substantial off-shore exploration work. The Petroleum Resource Development Ministry late last year took a decision to expedite exploration and development of indigenous offshore oil and gas resources. The PRDS continued to build up this momentum last week by opening a bidding round for proposals to conduct airborne geophysical surveys on a multi-client basis over the Mannar and Cauvery basins, related to the blocks up for offer in the third licensing rounds. Sri Lanka has so far made two natural gas discoveries in the ‘M2’ block, which was awarded in the first licensing round in 2007. There was limited interest in the second licensing round in 2013 and even the three bids submitted were not awarded. There are totally five blocks in the Cauvery basin and eight blocks in the Mannar basin. Based on the initial studies, data and regional studies, the PRDS is estimating the Mannar basin alone could have the potential to generate five billion barrels of oil and nine trillion cubic feet of natural gas, which would be sufficient for Sri Lanka’s energy needs for the next 60 years. This is in addition to the more than two trillion cubic feet of natural gas and 10 million barrels of condensate discovered in two deposits in the M2 block. Since Sri Lanka’s new power generation policy heavily favours natural gas, discovery and development of local gas deposits could result in significant foreign exchange savings, according to the PRDS. 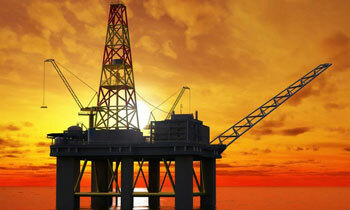 Downstream operations are already being designed, the PRDS said this week. Let the country prosper and NOT the Politicians. Long long ago oil and gas deposits were found but nothing happened thereafter. Again and again tests are being done. Is this the way other oil producing countries act too? This circus takes place just before every election. Nine trillion cubic feet of natural gas is approximately 9300 Peta Joules in energy terms which is huge. Good news if the numbers are genuine, then wonder why the previous mob Cairns quit the project. Remains to be seen !! They will find it just in time before the election. I don't know the exact technical terms. But some says drilling cost is higher in Mannar basin.That's why these are still not being used. Rather than drilling in the Mannar basin for natural gas. If they collard all the politicians and put them into a pen we'll be able to have enough natural gas for a lifetime. Coz, all of them have gas without substance. Oil/Gas exploration in SL is a subject discussed near an election and then forgotten !! This time who wants to fill his pocket. This is going on from Srimavo's government time but we don't blame that great lady who was so clean like her husband. Election gimmick. Time bomb to attract votes to the govt. parties. People are warned not to listen to noting but lies.